As we wrap up February, emotions can be mixed. Resolutions may have been made/broken, we may start envisioning the year slipping by, or we may be excited about what’s to come. Wherever we’re at, we deserve self-love. Self-love unfortunately like many things in the emotional wellness field can come off as a fluffy buzz word. However, when we consider the opposites, such as, self-loathing, self-criticism, self-deprecation and how many struggle with self-love then that buzz word has weight. It becomes so much more than just fluff. Self-love, isn’t about being vain, egotistical, indulgent, or materialistic. It’s about being loving and kind to self. It’s everything from being in touch with a sense of self-worth to setting appropriate boundaries. Self-love can be seen in two main practices, self-compassion and self-acceptance. 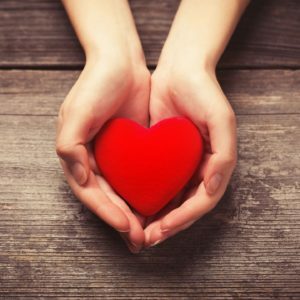 Self-compassion refers to treating ourselves with love and kindness. Often those who struggle with self-compassion, are willing to give compassion to others, understand their point of view, account for their challenges, however, tend to not extend this to themselves. Sometimes it can be that self-compassion triggers guilt or shame. Particularly if we already have a view that we aren’t worthy, or it may be that we hold ourselves to a higher standard. Neither of these perspectives are loving and kind to self. If struggling with self-compassion, bringing in mindfulness can be useful. Starting with noticing moments we’re in need of self-compassion and moments we aren’t being loving/kind to self, to create room for this practice. Self-acceptance, is a bigger quandary. While our critical/judgmental mind turned inward can be useful for motivation and growth, it can become a source of thoughts related to deficiencies, feelings of unworthiness, actions such as compare/despair. At its basics self-acceptance refers to accepting one’s whole self, - strengths, struggles, quirks and all. In practice is where self-acceptance can get mucky. Challenges such as navigating acceptance while holding goals and aspirations can make self-acceptance difficult. The practice of self-acceptance can be understood as awareness and gratitude (ie. I accept myself as I am in this moment, I’m grateful for all that I am). One way of resolving self-acceptance and wanting growth is to be mindful that part of the present self includes the self that aspires, the self that’s able to reflect, want and go after that growth. That is a self worthy as is. That is a self worthy of love.